The Great Lakes create a vast transportation network that supports a massive shipping industry. 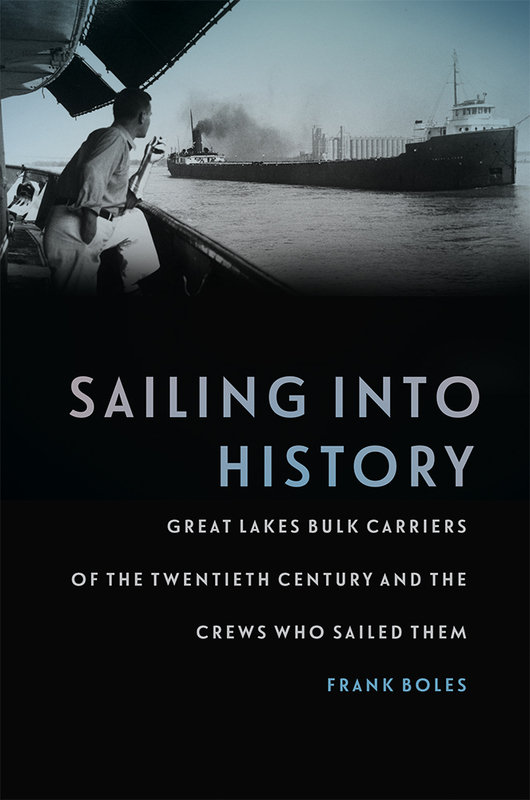 In this volume, seamanship, cargo, competition, cooperation, technology, engineering, business, unions, government decisions, and international agreements all come together to create a story of unrivaled interest about the Great Lakes ships and the crews that sailed them in the twentieth century. This complex and multifaceted tale begins in iron and coal mines, with the movement of the raw ingredients of industrial America across docks into ever larger ships using increasingly complicated tools and technology. The shipping industry was an expensive challenge, as it required huge investments of capital, caused bitter labor disputes, and needed direct government intervention to literally remake the lakes to accommodate the ships. It also demanded one of the most integrated international systems of regulation and navigation in the world to sail a ship from Duluth to upstate New York. Sailing into History describes the fascinating history of a century of achievements and setbacks, unimagined change mixed with surprising stability. June 7 at 7 p.m:. Presque Isle District Library. Details TBA.